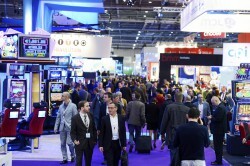 London – The 2016 edition of ICE (2-4 February) will be the biggest on record with the world’s most international gaming expo occupying 38,980 square metres (sqm) of net floor space, across 15 of the 20 halls available at the ExCeL Centre, London’s largest purpose-built events and conference venue. This compares against the figures for ICE 2015 which comprised 37,500 sqm and occupied 14 halls. 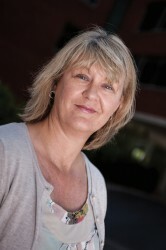 Kate Chambers, who has directed the development of ICE at ExCeL said: „An important part of our decision to make ExCeL the new home for ICE in 2013 was based on the ability the venue provides to grow and develop the world’s most important gaming expo within a modern business environment. Visitors attending the ‚ICE Gaming Technopolis‘, will have access to 510 exhibiting organisations drawn from a record 62 nations. As well as providing an insight to the latest product innovations and services, ICE is also the biggest learning and knowledge-exchange event in world gaming delivering 70 hours of learning opportunities from 200 thought leaders drawn from both within and outside the international gaming community.